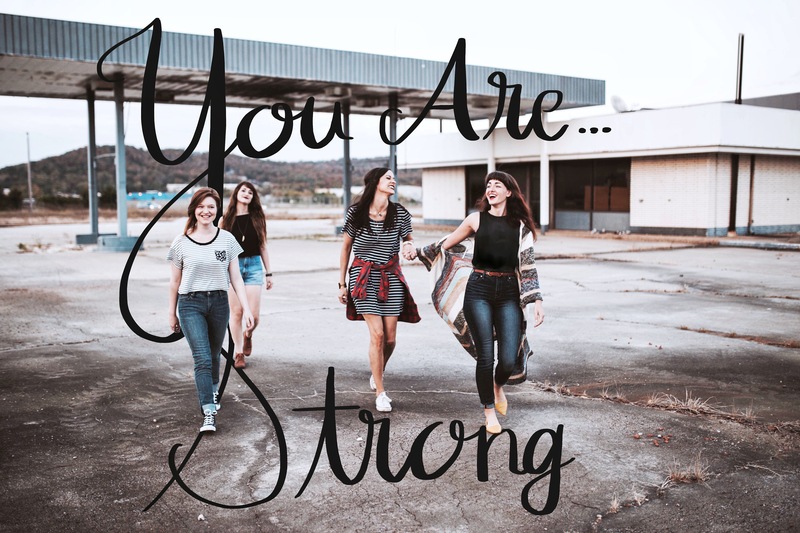 Is there something or someone in your life that is making you feel anything but strong? We all know that the world would love to bring us down for something. The media tells us that we’re too fat, that we need to wear more makeup, that the only way we’ll ever find love is if we put ourselves out there. The world desires to tear us down till we’re just a little puddle of nothing. Satan tries to feed us lies that no one will ever love us. That being a Christian is useless and that we should forget about all that God has done for us. Satan tries to make us feel insecure about ourselves, the friends we have, and even our own family. Satan wants us to think that the only way a boy will notice us is if we wear tight outfits and revealing clothing. There are so many lies that Satan feeds us everyday to get us off that straight and narrow path God has set for us. But we must remember that these are just lies. I know that some days I allow Satan to make me feel unloved. I allow him to plant thoughts in my head of doubt and insecurity. I am a worry wart and I’ll admit that I do worry about what other people think of me now then or I’ll worry about how my boss thinks I’m doing with my job. But this doubt and fear does not make me strong. What makes me strong is Christ in me and unless I have my armor on then of course I’m going to allow Satan to win over God. In Ephesians 6:12 it says, “for we do not wrestle against flesh and blood, but against principalities, against powers, against rulers of the darkness of this age, against spiritual hosts of wickedness in the heavenly places.” Our battle isn’t with the people around us but the devil inside them that feeds them and us lies. Like I said earlier, the world would love to tear us down but really it is Satan because Satan himself is telling the world lies which means that those who have given in to the world will attack anything that does not go according to what the devil says. I want you to take a moment and write down everything about yourself that you doubt or dislike. Write down what makes you scared or insecure. Now look at your list and tell yourself you are not (fill in the blank) because I have a father who loves me. I will gird my waist with the belt of truth, I will put on the breastplate of righteousness, I will put on the shoes of the gospel of peace, I will take hold of the shield of faith, I will put on the helmet of salvation, and I will take hold of the sword of the spirit, which is the word or God.